You know a manager is feeling the pressure when he starts to blame the fans, and that is exactly what Roy Hodgson did today. Hodgson’s side are only three points above the relegation zone after last night’s 1-0 defeat at home to bottom side Wolves and he was not happy to hear the Kop singing the name of former player and manager Kenny Dalglish, a living legend at Anfield, and also ironic chants of “Hodgson for England”. 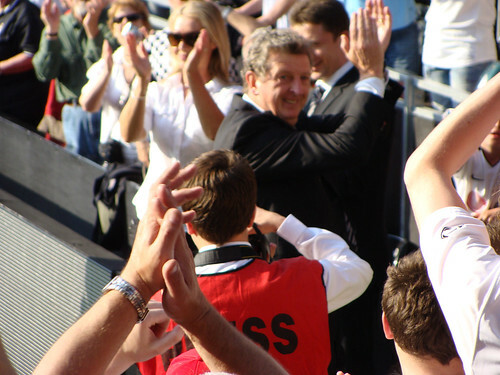 Hodgson is in a really difficult position at Liverpool. He is not the choice of Boston Red Sox ownership group as he was hired by the previous regime. He also inherited a squad where prime assets like Mascherano and Xabi Alonso had been sold by Gillette and Hicks without being replaced by similar quality players. As a result Liverpool’s squad has taken a step backwards over the last two years while their rivals have all improved their squads. Liverpool fans have been called some of the best in the world and the trip to Anfield is must for any serious football fan. Liverpool’s Kop is world famous for its rendition of ‘You Will Never Walk Alone” especially on big European football nights, something that Roy Hodgson has not had a chance to experience yet.